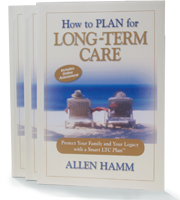 The process of planning for long-term care. The importance of partnering with an objective financial advisor to achieve the best results. Request your free book or review session today to learn more about Long-Term Care and Medicare benefits.